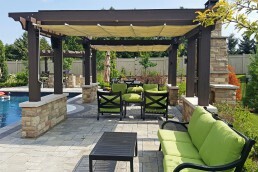 In the city of Vaughn, Ontario, nestled between dense forests and two branches of the Humber River sits Kleinburg Village. 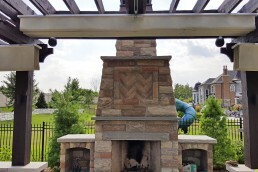 Founded by German-Canadian settlers in 1848, the village name translates to ‘small castle’. 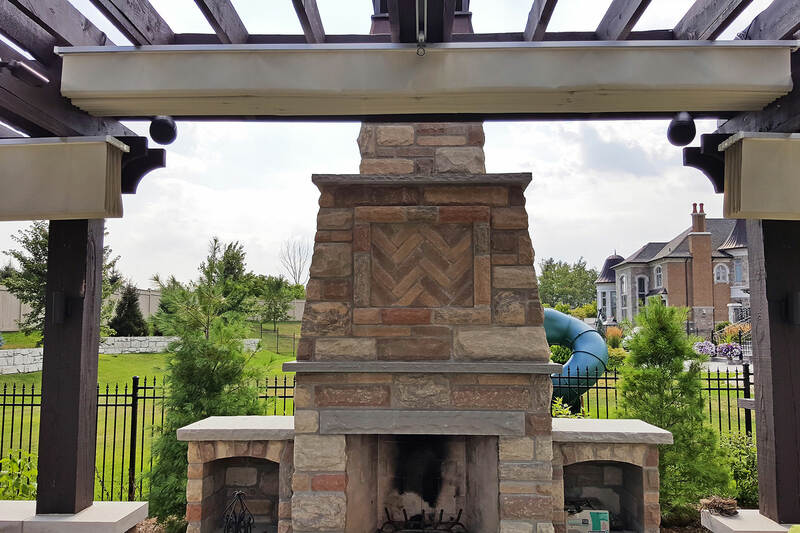 Today, Kleinburg Village is quickly becoming home to affluent residents and visitors seeking refuge from the big city, creating a town full of their very own ‘small castles’. 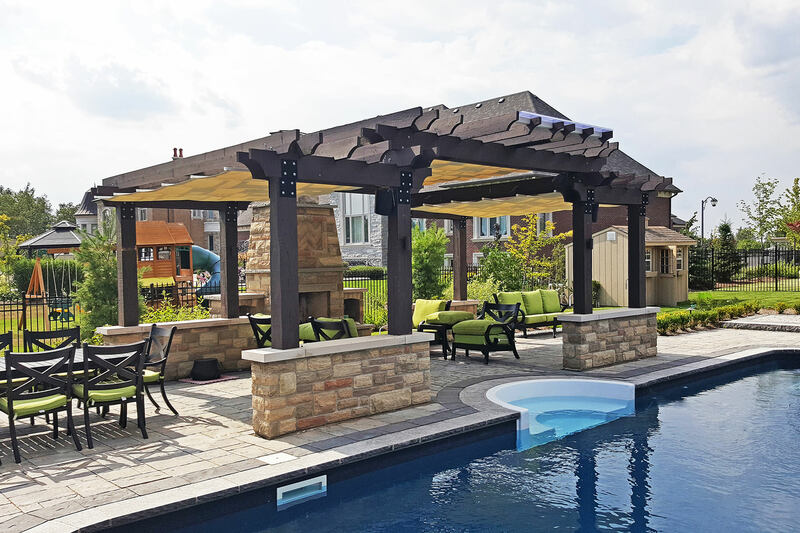 For one Kleinburgian, we were tasked to create a weather solution that provided their poolside space with shade from the sun and coverage from the rain. 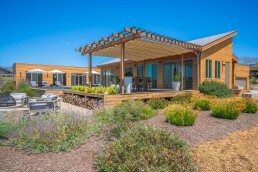 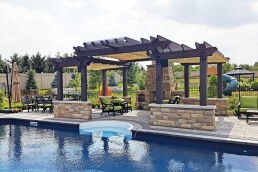 On-site, there are three existing structures, one larger pergola in the middle, and two on either side, creating a unique cascading feature. 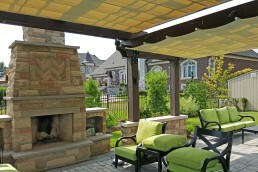 The customer wanted to make sure that no rain could fall into the outdoor space. 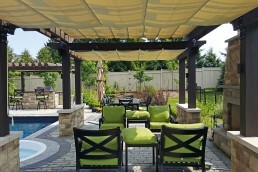 As a result, the middle canopy (12’x12′) sheds rain towards the outside canopies (8’x12′), both of which are tilted to shed beyond the perimeter, ensuring minimal splash back. We also installed a fourth canopy, on a separate structure measuring 8’x16′, in a separate part of the yard to provide the homeowners and guests with another place of refuge. Whether lounging in the pool, sitting by the outdoor fireplace, or eating dinner under the unique pergola structure, this backyard resort is the perfect place to kick back, relax and admire their ‘small castle’. 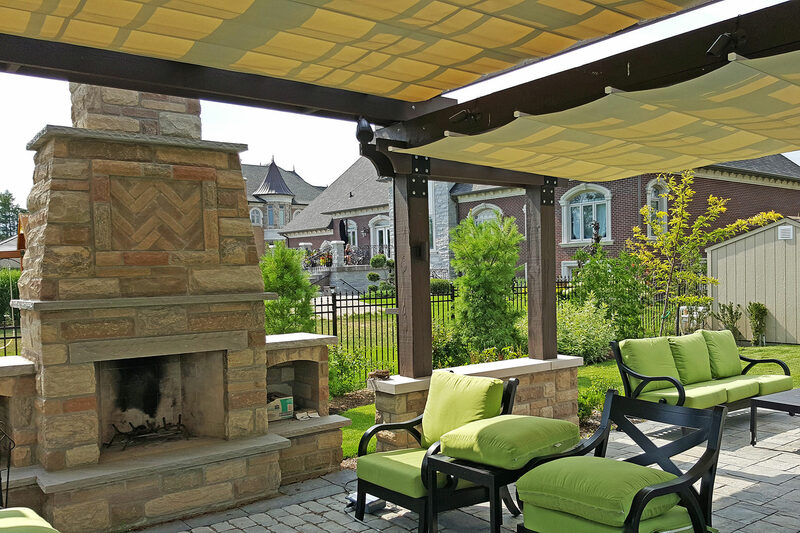 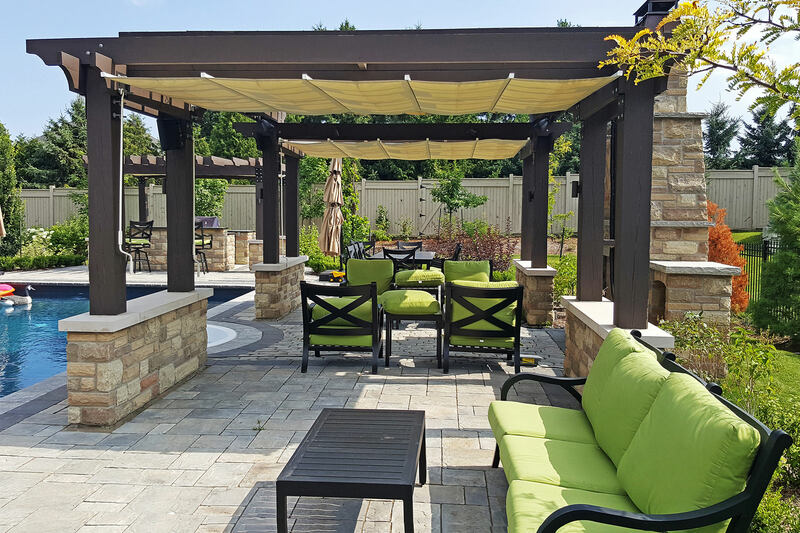 We were tasked to create a weather solution that provided this customer’s poolside space with shade from the sun and coverage from the rain.